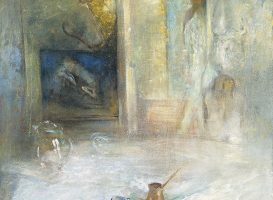 Ivor Davies (b. 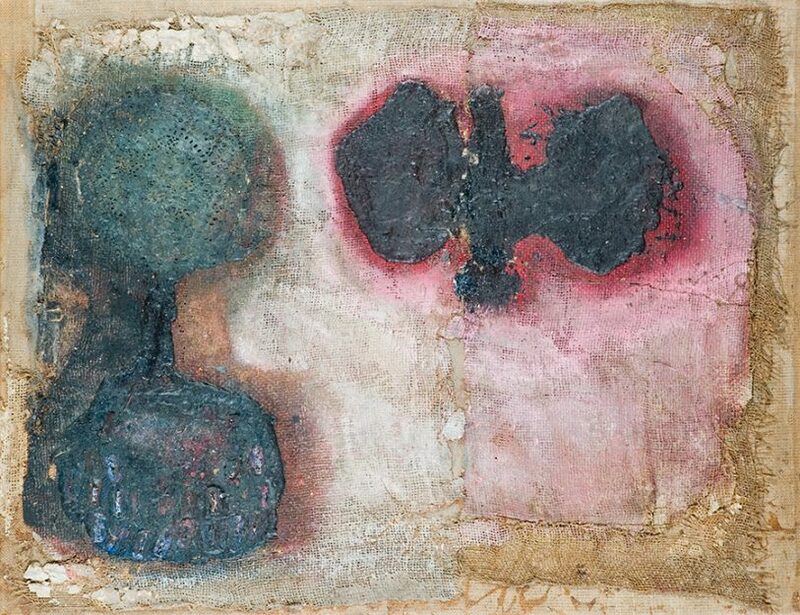 1935), Prefiguration — Eryr, 1956, mixed media on hessian, 94 x 122 cm, acquired 2009. © The Artist. Ivor Davies (b. 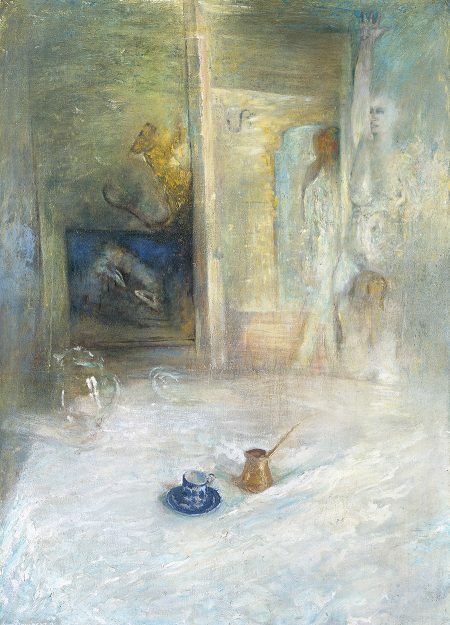 1935), Caethni, 1996, oil on canvas, 159.7 x 114.7 cm, acquired 1999. © The Artist.